Usually when the Seahawks score 30 points in a game I am thrilled. It usually means we played a very sound game and should mean that we won fairly easily. Why is it then that I feel so shortchanged and worried? The Seahawks have yet to put together a complete victory and today they showed improvement in areas and showed regression in others. The Seahawks defeated the Oakland Raiders 30-24 on Sunday in a game that I believe should not have been as close as the final score indicates. 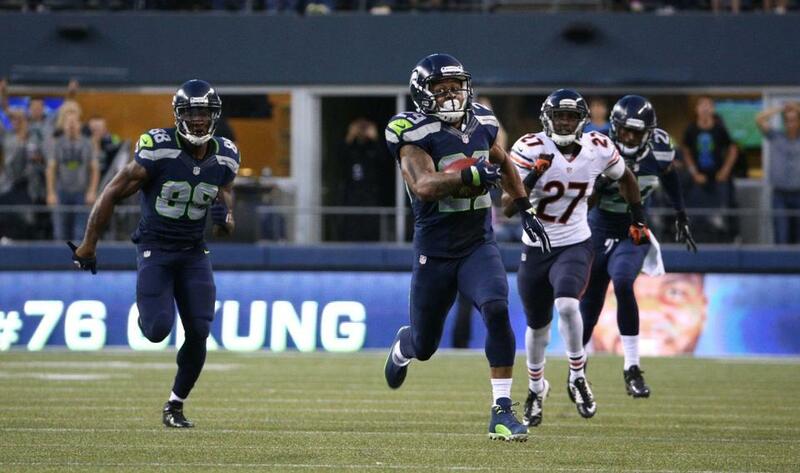 Regardless, the Seahawks improve to 5-3 on the season, taking over sole possession of second place in the NFC West. With today’s loss the Raiders fall to 0-8. Here is the good and the bad that I took out of this week’s game. 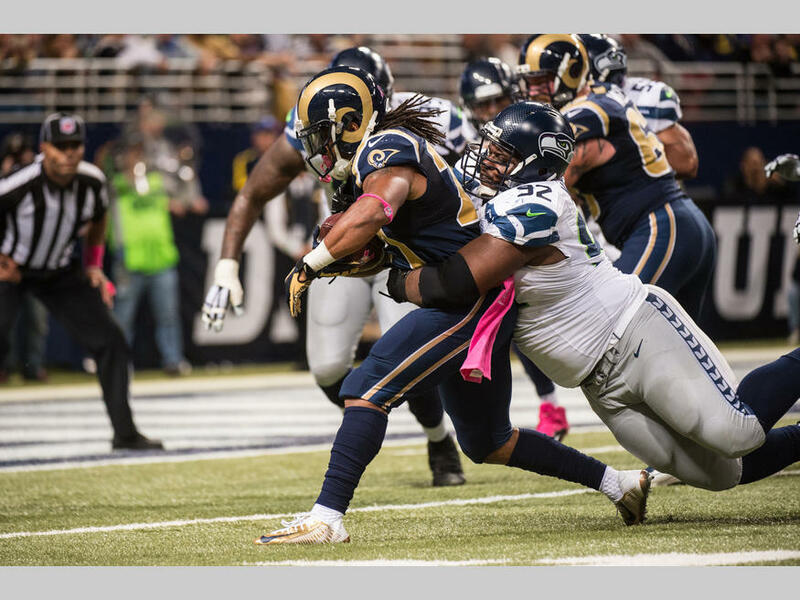 Running Game Improves: Today offensive coordinator Darrell Bevell gave running back Marshawn Lynch a hefty dose of the ball and it paid dividends in controlling time of possession and making the difference on the scoreboard. Lynch ran the ball 21 times for 67 yards and two touchdowns on Sunday, his most productive game on the ground since week 3. Behind an offensive line missing two starters, Lynch did a great job finding running lanes and gaining yards after contact. 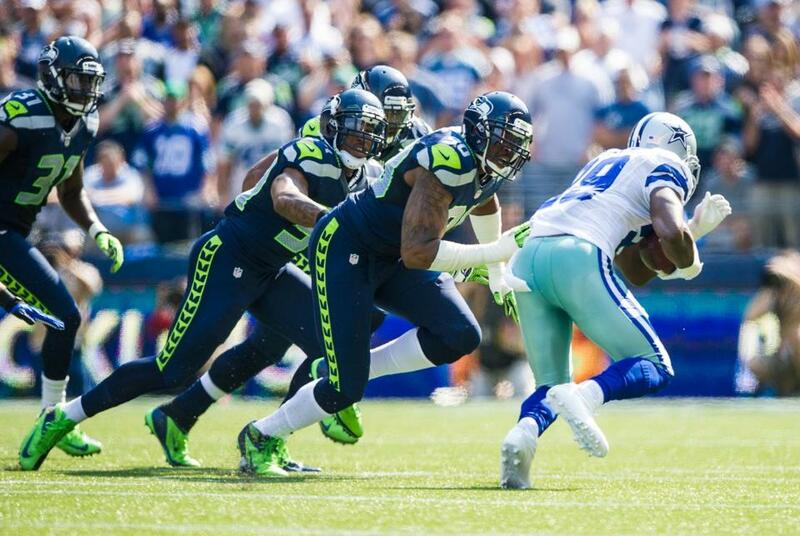 What I also liked was the play calling which got Lynch, Robert Turbin, and Christine Michael involved on early downs. Russell Wilson handed the ball off to his running back on first down 48% of the time, a significant improvement from the past few weeks. Wilson Still Having Trouble Making Throws: For the second straight week, Russell Wilson struggled to connect with receivers on throws he has proved he can make. Today, among the incomplete passes that stick out in my mind, he overthrew wide receiver Jermaine Kearse multiple times and also failed to hit tight end Luke Willson on a play-action shotgun pass which would have picked up a first down and significant yards after the catch. Perhaps today the weather played a factor in Wilson’s performance but against a defense like Oakland’s a 179-yard performance with no touchdowns or interceptions feels very unsatisfactory. 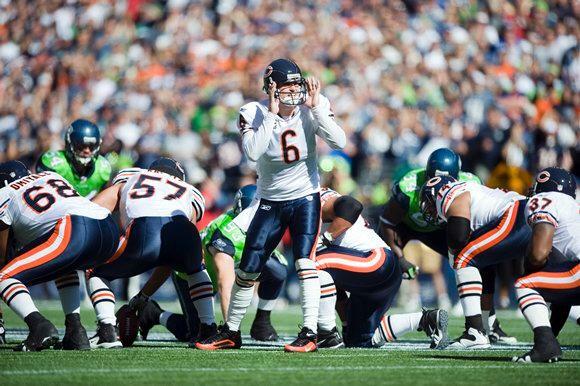 This season Wilson has had only four 200-yard passing games and of those, he has only thrown for over 300 yards once. It seems as though we cannot put a complete offensive game together; we can either run the ball effectively and struggle passing or vice versa. Could it be that Wilson is not yet 100 percent comfortable with his targets, particularly the rookie wide receivers? Time will tell as he become more familiar with them on a weekly basis. Special Teams Regresses Terribly: The Seahawks special teams allowed yet another touchdown on Sunday, when Denico Autry of the Raiders blocked a Jon Ryan punt which was recovered by Oakland’s Brice Butler in the endzone for a touchdown. Given the recent struggles of the Seahawks special teams unit I pose this question: is the absence of special teams captain Heath Farwell making the difference in the poor play of this year’s squad compared to the shutdown play of last year’s unit? There are several new players in different positions on special teams which led head coach Pete Carroll to label special teams “a circus” after today’s win but Farwell was the anchor of last year’s unit. This is scary to me. The inability for the offense and defense to run away with games this season makes me think that it may be only a matter of time before these special teams mistakes cost us yet another game much like what happened in St. Louis. 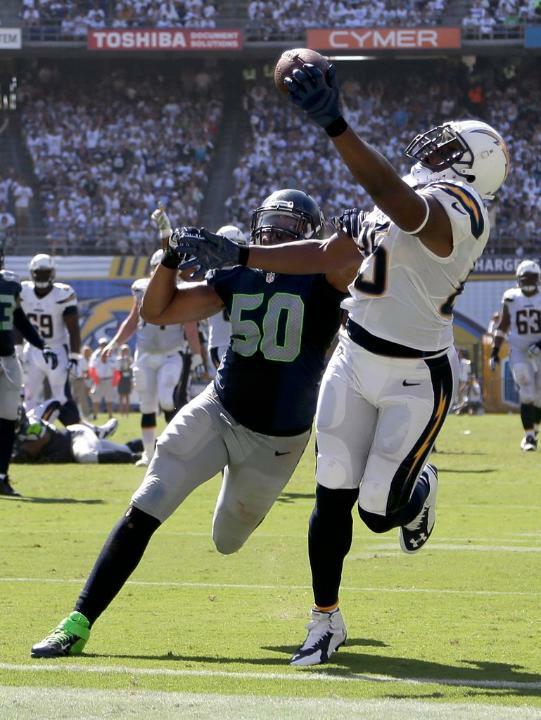 Plug-and-Play Defense Survives: Today the Seahawks defense was introduced during pregame ceremonies and there were three new names to the lineup. Brock Coyle started at middle linebacker while Tharold Simon and DeShawn Shead took Byron Maxwell and Kam Chancellor’s spots respectively in the Legion of Boom. They played adequately. Among these three players Shead led the pack with 4 tackles and Coyle only recorded 2 tackles of his own. Coyle was helped out in large part by outside linebacker K.J. Wright who played a very Bobby Wagner-esque game. Wright made 13 tackles and also added a pass defensed. 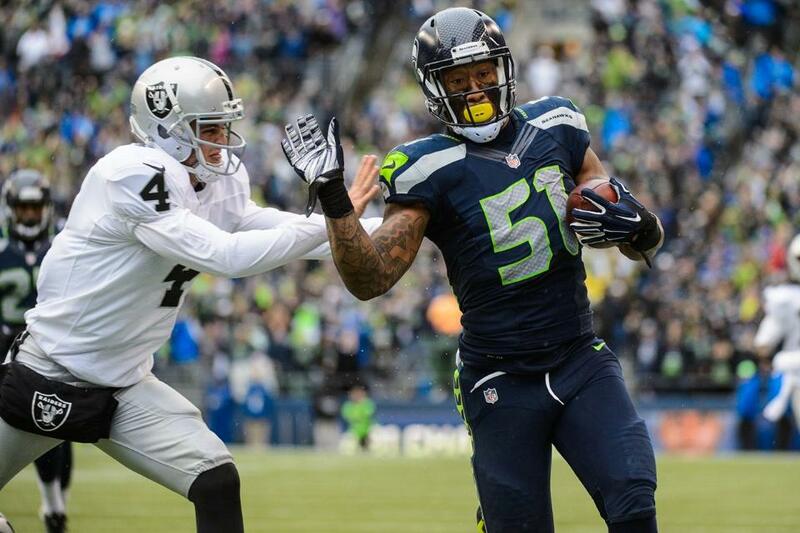 Bruce Irvin also started in place of Malcolm Smith and had a big impact, intercepting and returning a self-tipped Derek Carr pass to the house for a touchdown. All in all, the defense forced two Carr turnovers and survived the game despite allowing 17 points. We simply need to get healthy. I do not think it is crazy to think that if we had played any other team today we may not have come out victorious. Thoughts on Oakland: The Oakland Raiders have potential on offense but they are not there yet. Derek Carr needs talent around him to put more points on the board. A new running attack would not hurt either, as Darren McFadden and Maurice Jones-Drew are not getting any younger. On defense the Raiders need to get younger. They are too old to stay consistently healthy although the play of second-year cornerback D.J. Hayden had me pretty impressed on Sunday. The Raiders will likely bring in a new head coach in 2015 to replace the current interim coach Tony Sparano. It seems like the Raiders are consistently rebuilding, and from where I am currently sitting, it may be a few more years before they can challenge for even a wild-card berth. Random Thoughts: Jerseys were just like I thought for both teams. 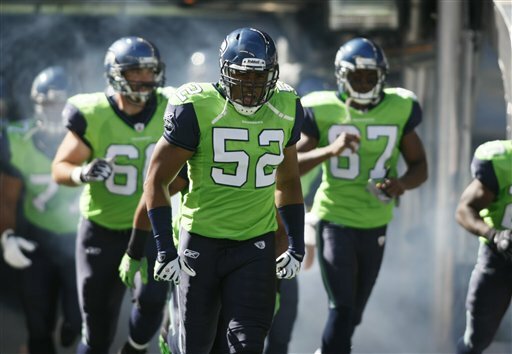 Moving on… Today Walter Jones’ 4 offensive line mates from the 2005 Super Bowl XL season raised the 12th Man Flag. It was great to see Steve Hutchinson, Robbie Tobeck, Chris Gray, and Sean Locklear back in Seattle all together. Personally I believe Hutchinson should get a turn to raise the flag by himself in the future. Also, I am assuming Locklear retired because he was in attendance today. How is that possible? He was a rookie in 2005, and even though he is currently 33 years old I think he could still be of service to a desperate team seeking offensive line depth. I guess that just goes to show you how short NFL careers are… I loved the Marysville-Pilchuck High School logo on the Seahawks touchdown flags and the moment of silence was nice also… The Ring of Honor ceremony for Walter Jones was awesome. Those navy blue blazers worn by all the Ring of Honor members look pretty good. Jones seemed to get more emotional for the ROH ceremony than he did for his jersey retirement 4 years ago… Another home game next week. I’m already looking forward to it! Thanks for reading everyone. Check back next Saturday as I preview our week 10 matchup against the New York Giants. Go Seahawks!